The Democratic Party has filed a judicial protest giving the government 20 days to either publish the €274-million controversial St Vincent De Paul Residence extension contract or make it accessible to it. In his protest, PD leader Godfrey Farrugia called on the government to be transparent by publishing the agreement signed in November 2017 with a private consortium made up of James Caterers and a subsidiary of the Seabank dB Group. He also invited Finance Minister Edward Scicluna, who had said he knew nothing about the deal, to publish the results of an internal investigation he had ordered over the matter. 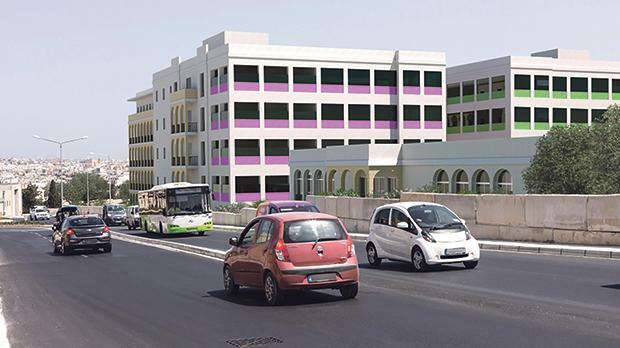 Dr Farrugia referred to the €60-million tender for the provision of meals and the building of a new kitchen at the facility, which later became a 500-bed fully-fledged extension. Although the contract specified that any additional investment by the winning contractors had to come at “no additional cost to the contracting authority”, the government agreed to pay the contractors €274 million for services associated directly with the new extension over an undisclosed period of years, the judicial protest recalled. According to Dr Farrugia, there were serious breaches of EU public procurement rules in the way the tender was handled and negotiated. EU rules lay down that a tender cannot be changed if the value surpasses 50 per cent of the original cost of the tender. In a statement, the PD, which has two MPs in Opposition, said it was its duty to ensure transparency and that public procurement rules were observed. It said it was forced to follow such action as the Nationalist Opposition had not officially denounced such irregularities. “The goings-on at St Vincent De Paul seem to indicate further pro-shady business, more so since it has been revealed that a monthly €300,000 contract has been awarded to a cleaning company, X-Clean Ltd, via another direct order,” the party noted. Originally, the government had issued a tender, worth €60 million, for the provision of meals and the construction of a new kitchen at St Vincent De Paul. The contract also called for an addition investment in the form of a ‘gift’ to the government by the winning tenderer at no extra costs. James Caterers and Malta Healthcare won the bid on the premise of the offer as dictated by the tender. However, after the allocation of the bid, the winning consortium entered into fresh negotiations with the government to change the ‘offer’. It was subsequently agreed that the consortium would build a 500-bed extension on public land at St Vincent de Paul. In exchange, the government would be paying the consortium €274 million for the provision of services over a number of years. A direct order was issued by the government five days after the signing of the agreement. Later, it said the notice of a direct order published in The Malta Government Gazette was a mistake. The government has rejected a request made under the Freedom of Information Act for this newspaper to have a copy of the agreement. The National Audit Office is investigating the deal.